Concerned for your legal rights? Let us be your partner in your pursuit of justice. Charged with a Traffic Ticket, fight to keep your driving record clean. 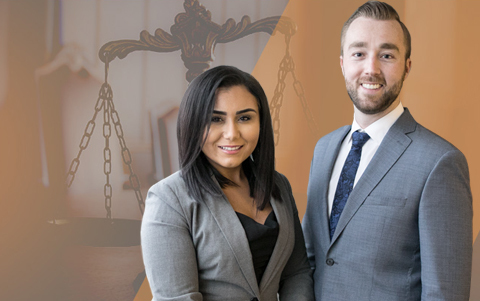 Call Sturino Walker Legal Services today at 905-738-7171. Considering taking a case to Small Claims Court, give Sturino Walker Legal Services a call today for a free consultation. As Paralegals, we can handle criminal matters (Summary Convictions), so long as the maximum term of imprisonment does not exceed six months. Sense of urgency – You have made your decision and now you want to get on with your life. Our litigators will work for you in a timely manner, ensuring that the legal process is not dragged on. We take pride in returning client phone calls and e-mails promptly. Personal Investment – We provide a high level of personal attention during which time we truly get to know you. We empathize with our clients and their issues. We always take care of your case personally. Skilled Litigation – Our paralegals are in court on a relatively daily basis. Using all of our skills and experience, we will always work diligently to help you obtain the results you deserve. If you believe that you and/or your family deserve top-quality representation for an affordable price, hire Sturino Walker Legal Services. Hire someone that cares about you and your case. Don’t wait. Call us now. Sturino Walker Legal Services Professional Corporation understands that from even a minor traffic violation to a Small Claims Court matter can have an extensive impact upon you and your family. Contact us for a free initial consultation at 905-738-7171.